Welcome to another edition of The Tonic Lookbook. Yep. We told you we weren’t cool. We’re raising our macchiato & chai filled mugs to none other than our new friend Brittany Marie. She purchased our gorgeous Rendezvous and did an INCREDIBLE job customizing it all on her own. We didn’t help, we swear! This is Brittany. Isn’t she pretty? She’s so pretty. Tonic: We’re so glad you found us, but we have to know: what led you to TONIC? 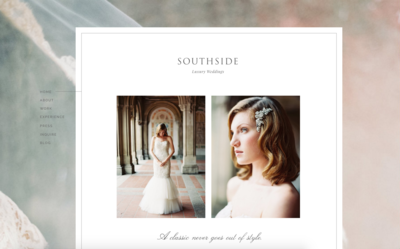 Brittany: I knew for MONTHS prior to purchasing my template that I had to have one from TONIC. I research everything, so trust me when I say I spent hours trying to find something that would be perfect for my brand. Once I came across TONIC, it wasn’t even a question anymore. The only struggle I had then was deciding which TONIC template I wanted the most! 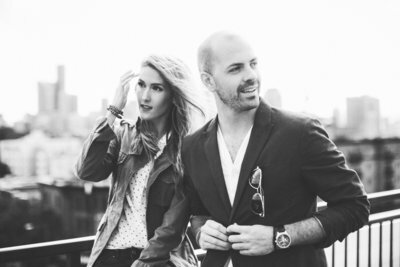 There simply just aren’t any other designers that know what make true design so great like Jen and Jeff do. T: We always have people tell us how hard it is to choose a design. What made Rendezvous stand out to you? B: I was able to narrow it down to two TONIC temples, but ultimately knew Rendezvous was the one I had to have. It actually took me about a week of visiting the demo sites daily to make sure I was making the right choice (but is there really a wrong choice when it comes to TONIC? 😉 ). As corny as this may sound, I felt happier browsing the Rendezvous demo site. It has a very elegant, fine art design which is exactly what I was looking for. And I love how incredibly unique and customized it looks – nothing about it looks like a stock or free template. It is so high-end and looks like a one-of-a-kind site! T: So, you did this ALL yourself, which is super impressive. How did you find the process of working with SHOWIT and our design? B: Working with the TONIC site was a breeze! Everything with the design was set for me, so I all I had to do was insert my own text, images, and personality! There is absolutely no way I could have created such a stunning site without the template Jen and Jeff created. It took all of the hard work and long hours out of having a truly customized looking website. T: Hello, music to our ears! So, to close here, how has your new site impacted your business – both the perception of it, and the actual business? And further, how has it changed you FEEL about your brand / online presence? B: Implementing a TONIC template has drastically changed the perception of my brand and business. Even weeks after the launch, I am constantly getting comments on my site! The site is just so unique, and unlike any others in my area which makes me stand out. Even my fellow photographer friends suggested that I needed to raise my prices even more with having such a luxurious web design! It’s also boosted my confidence in my own brand. I feel like my website finally embodies everything I’ve always wanted for my brand and is also exactly what I needed to attract my ideal clients. I am so incredibly thankful to have a site that I’m proud to call mine to showcase my work. T: Oh man, that couldn’t be more exactly what we hope to hear. We’re so proud of your site, and so happy you love it. Thanks so much, Brittany! 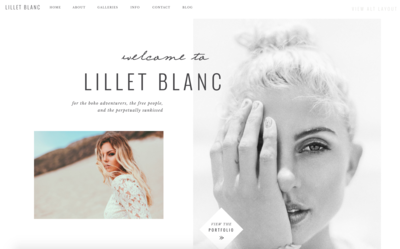 Interested in the TONIC Original “Rendezvous” the site Brittany used to create her beautiful new online presence? 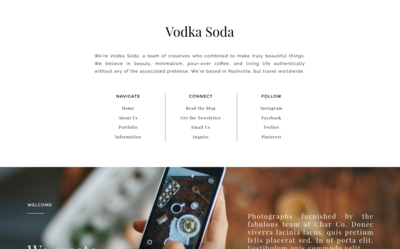 Click here to learn more and to shop our full collection of customizable websites for creatives. 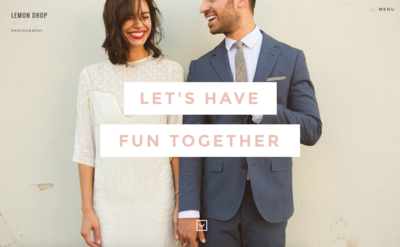 For more of our favorite real TONIC client sites, click here to browse the lookbook.